We have updated our Motivational Quotes site TheQuotes.Net with new feature for printing Monthly Calendar for the New Year 2013. The Calendar will be having Motivational Quotes with Inspiring Pictures. And, we are working on to add more features like Daily Calendar and Yearly Calendar. You can use this free feature to create inspiring Monthly Calendars with your Company Name so that you can give this Motivational Calendar as New Year gift to your Customers and Friends. Let me know if you find any difficulty in using this Printable Calendar, and share your suggestions to make it better next year. You can use this free Greetings Cards sending application for sharing your new year greetings with your friends and customers. Improved TheQuotes.Net Greetings Cards to minimize the Spaming. Few days back we had released Greetings Cards Sending application in our motivational Quotes website TheQuotes.Net. Many people started using it within this short time, so I am expecting huge usage of this application . But we have some limitations in sending emails from our hosting. So, today we had done some updates to our Greetings Cards application so that the Spam-like usage of this application can be prevented. Anyway, we have taken care of the flexibility and simplicity for the Genuine users. I don't want to share the details about what are the things we had done to prevent the spam usage. Anyway, I want to make sure that it didn't affect the Genuine users. So, let me know if you find any difficulty in using our Greetings Cards. If you are looking for sending Christmas Greetings cards, start using here. Year in Review : Top 10 popular pages of TheQuotes.Net in the year 2012. TheQuotes.Net website was launched last year, and lot of motivational quotes, inspiring stories, inspiration videos and inspirational pictures are getting added to this motivational website regularly. Since this site is relatively new, there is no significant traffic from search engines. Most of the visitors are coming from Social Media. And therefore, we can say that TheQuotes.Net pages which got more visits will be liked by lot of other people too. So, I am listing the most visited pages of TheQuotes.Net in 2012 based on Google Analytics Reports. It seems most of the people are showing lot of interest to be Happy. So,40 Secrets for Happy life got the Top place in the list only after the Home page. Find below the complete list of Top 10 popular pages of TheQuotes.Net in the year 2012. Watch the below video to know the steps for creating Custom Christmas Greetings Cards on TheQuotes.Net. And start using this free application here. PSYs "Gangnam Style" has just become the first video in the history of the Internet to reach and surpass one billion views in YouTube. You can watch this view below. And, lot of videos that created based on Gangnam Style music also getting huge number of views. For example the video showing Gangnam Style Christmas lights is getting many views. Grimm's Fairy Tales Google Doodle - Did you understand the Story? Today Google is showing an amazing Doodle for celebrating 200th Anniversary of Brothers Grimm’s Fairy Tales. Did you understand the Story by slides shown on Google home page? If you couldn't understand the Story, you can watch the below Video. Enhancements to the Greetings Cards sending feature. Few days back we had launched "Greetings Cards Sending" feature to our website TheQuotes.Net. Today we had done few enhancements to this feature. i-e Now we can change the Font Face, Font size and Font Color when Customizing the Greetings Card. Start using it here, and share your feedback and suggestions thro' the comments. Let me know if you find any difficulty in using this service. Right now we have many card for Christmas, New Year and Birthday. We plan to add more categories and more cards later. Google's YouTube has released this below mash-up video as "Rewind YouTube Style 2012". This mash-up is created with many youtube stars including PSY. Can you spot all the references? And, Watch most Trending YouTube videos in this year 2012 here, and if you want to see the Trending videos in India click here . Do you want to invest in TheQuotes.Net for getting monthly Income? Few days back I had announced my plan about starting Joint venture of Resume Submission Service Business. Few people were showing interest and I will be finalizing the plan in few weeks and will publish a detailed blog post later. Now I am going to explain the details about the investment plan for our Motivational Quotes Web Site TheQuotes.Net as many people are showing interest to invest in websites that are having "Steady Income" potential than investing in Risky websites. Note that it is just investment plan, not a Joint Venture. i-e I will be still keeping full ownership of the website including content,ads, links, scripts and domain name. The investor will get part of the profit generated by this Site every month, and the Investment is NOT refundable. Let me explain my plan in detail. First I will start with Good things about this website. There are many unique advantages in running motivational quotes website. The Search Volume for the Quotes related keywords are very high. There is NO need to update content frequently. The content once added can be valid for years. These kind of websites can spread in Social Media easily. People of any age and any country will be the Target audience of these kind of sites. Some kind of work satisfaction as the site is adding value by spreading positive thoughts among people. And, it is having few challenges or drawbacks too. CPC is very low. Unless we find some way to monetize it effectively, the ad income will be very less. Growth opportunities are less comparing to Tech sites. Though the CPC is low, earning potential of successful Quotes sites is NOT low. To verify this fact, go to any Keyword research Tools like semrush.com and do a little research by searching the words like "quotes" and "Motivational quotes". Click on the Top websites shown for the results. You will be surprised to see the earning potential of those sites. I have noticed that one Quotes website's Search Engine Traffic price per month is more than 6 Million dollars. That mean they should spent that much amount to purchase the same number of visitors driven by search engine. In other words, it can generate more than 3 Million dollars per month even if the Traffic selling price is 50% of the purchase price. This calculation is only for Search engines. Apart from SE traffic, these sites will get huge traffic from social media too. Now imagine how much they are earning per month without requiring to add any new content or any kind of new spending. And I was surprised to see that one Quotes website's SE traffic price is in Millions while it has less than hundred pages. So, obviously Quotes sites are having good earning potential irrespective of their low CPC keywords. Now it is clear that Motivational Quotes sites are having good earning potential and they are very easy to maintain, and they can be promoted thro' Social Media. That's why I started this motivational Quotes website "TheQuotes.Net" and focusing more on it comparing to our other websites as stated in my previous blog post. And, just having Quotes site is NOT enough. We have to do lot of hard work to keep quality content, make it SEO friendly, and do Social Media promotion with proper strategy. We have done below things to move forward in right direction. Done lot of on-page optimization for making it SEO friendly. Adding Quality content while keeping them SEO-friendly. And, we are adding lot of picture Quotes also. Created Facebook page for promoting it in Facebook. It is having more than thousand Fans. Uploading lot of motivational Quotes videos in our YouTube Channel for promoting this website. Even in other videos I am putting the Name "TheQuotes.Net" on the video and/or at the end of the video to make it popular. Created SMS channel for promoting the site by sending free SMS Quotes. Improved the Page loading Speed so that users can see the pages quickly and Search Engines can improve the Search position. And, we are doing link Exchange, social bookmarking and much more steps for getting lot of backlinks which are very essential for getting good search rank. Our Team is doing lot of social Media promotions daily. Just do exact match search of the word "TheQuotes.Net" on Google to see huge results returned from Google. It was showing 24,900 results while writing this post. We used Auto Tweet Feature to promote it. More than 700 twitter users had subscribed for it. But it is Disabled now as Twitter blocked our Twitter application. Anyway, it helped to spread the domain name for some time. (Update- It is Active again). Added Quotes Gallery Script so that other blog owners can embed this site quotes in their blogs easily. And, recently we had added Greetings Cards sending feature. And, we are exploring various ways to make it mobile friendly, and planing to add new features like "Daily Quotes" news letter. In summary, our Team had done lot of hard work to develop and promote TheQuotes.Net Site. But still the Traffic to this Site is not much and therefore AdSense income is also low. We have to continue our Hard work to make it successful website. Since adsense CPC is low, I am looking for other ways to monetize the traffic effectively. Few months back I had tried to sell this site thro' Flippa auction, but it didn't cross the few hundred dollars as the Flippa Buyers focus more on current income than understanding the potential of the site. So, I dropped the selling plan, and decided to keep it ourselves. So, I am coming up with this investment plan. According to this plan I would like to get one or few investors (preferably one investor) for investing money for developing/promoting "TheQuotes.Net" site further. And, they should agree with these Terms and Conditions. Their investment is NOT refundable at any situation. I will hold the full ownership of the website including content,ads, links, scripts and domain name. The investor(s) will get some part of profit generated by TheQuotes.Net at regular interval according to the type of income source. (e.g Right now, we use Adsense which gives payment monthly). The payment will be calculated by me according to the Site profit and their investment share. I reserve the rights to add any new investor at any time. I reserve the rights to sell or close this site at any time. While selling the Site, the investor(s) will be paid according to the Site Sales profit and their investment share. This investment is ONLY for TheQuotes.Net, it is no where related to other products/services of QualityPoint Technologies while we reserve the rights to use TheQuotes.Net to advertise/promote our other products. And, note that I frame these Terms and Conditions just to be on safer side if something goes wrong. Basically I am a flexible person and I will be taking care of the investor(s) in good faith. Contact me only if you Trust me. Right now, I prefer to have only one investor. So I would like to choose the investor based on their ability to contribute (e.g doing SEO/social media promotion, writing inspiring articles, creating amazing pictures and videos, printing quotes on T-Shirts,etc.) more to TheQuotes.Net than just investing money. We can discuss the complete details of the investment plan thro' email or Gtalk. As I explained earlier we do lot of SEO and Social media promotion I believe this profit will be increased soon. Anyway, prepare for worst case scenario also. For example, there won't be any profit if Google disable the ads on TheQuotes.Net or if the hackers bring down the site for many days, or if the hosting faces any issue. And, our Team will continue developing/promoting the site further. I will be calculating the profit after doing deductions for our Team's efforts. Anyway, I won't be doing any deductions for my Time/effort. Similarly I expect the investor to do something (e.g social media promotion, article writing, etc) for the growth of the site. And, let me know if you are interested in making investment in our other sites (Tech News site RtoZ.org , Software Testing Tutorial site QTPbook.com). I have selected the Investor for the TheQuotes.Net Site. Right now, I don't have any plans to accept any further investment. I would like to get your suggestions for adding new features to our TheQuotes.Net further. We had added new applications like Facebook Cover application with many features like automatic cover change option. And we started Quote of the Day news letter also. Now I am looking for getting one more investor for this site, as we need to promote it further to start getting the Returns. Contact me rajamanickam.a@gmail.com if you are interested to invest in this site. We have added a new Feature to TheQuotes.Net for sending Free greetings Cards for Christmas, New Year and BirthDays. Today we are adding yet another new Feature "Greetings Cards" to our TheQuotes.Net website. Greeting is a art of communication between the human beings. Now TheQuotes.Net makes you to communicate with your friends by introducing a features for sending a greeting card for this Christmas, New Year and Birthday. Now lets start sending the greetings from TheQuotes.Net Greetings with love,laughter and happiness to your friends, family and Relatives. Watch this video to know more about using our Free Greeting Cards. And, we are planning to promote TheQuotes.Net rigorously to make it as the most viewed Motivational Quotes Website soon. So you can contact me, if you want to join with me as investor, Advertiser, Content writer, Designer or Social Media promoter to achieve it. Especially if you want to be an investor of TheQuotes.Net you can read this blog post. But, still many entrepreneurs are allowing their start-up initiative to fail by ignoring the Software Testing. They are just ignoring the Software testing by thinking as it is unnecessary burden. Recently I had done a detailed analysis about the reason for failure of Start-ups, particularly IT start-ups. I found many reasons for the failures. Some of the obvious reasons are lack of funds, difficulty to find appropriate human resources, high competition, inefficient people management,and low market scope. "Lack of Quality" is yet another important factor for the failures of IT Start-ups. Entrepreneurs have more control on preventing this failure factor while they have very little control on all other failure factors. i-e We can avoid the failures related to "Low Quality" with little efforts. We will realize this fact only if we do detailed analysis about the failures and Success of various IT Start-ups. In summary, if we are going to create our own IT Start-up, we should have clear plan about our products, investments, market for the product, competition analysis, Human resources for developing, promoting and supporting the product, and product promotion plan. Apart from all these things "Software Testing" of your IT product become very essential as it is going to be the deciding factor of your start-up success or failure. It is difficult to realize the importance of software testing just by imagining or assuming things. But we will realize the importance of "Testing" only if we look into the Success of IT start-ups which give importance for software Testing, or look into the Failed IT start-up which ignored software Testing. Here I use the word "Software Testing" for specifying about the all the quality-improving things for IT product, NOT about just executing test cases. The role of software Testers will begin even before preparing business Requirements. That means Software Testers can involve in the initial discussions of framing the purpose and scope of the product. It will enable them to give proper suggestions while doing testing, and it will ultimately help to create the product which actually fulfills the purpose, in other words solve the problem of the product Buyer or User. Solving the problem of the User, is the key thing for the success of any business. I had written many posts about the importance of possessing business knowledge and development knowledge for the Software Testers. i-e Software Testers need to act as bridge between the Business Analysts people and the Software Developers. Even they need to put them in the Role of End Users. In summary, Software Testers are very important for the Success of IT business. So, everyone will be thinking that just hiring a "Software Tester" will improve the quality of the product, and therefore the IT start-up will succeed. But it is NOT True. Because the "Software Tester" should know about Software development and Business, just writing test cases and executing them is NOT enough. They should be able to co-ordinate both the Software Developers and the Business Analysts. It is very difficult to find a Software Test Engineer who understand the overall picture of the IT business and where he fits in. I am having more than 14 years of experience in IT industry in various roles like Software Developer, Web developer, Software Test Engineer, Test Automation Engineer, SEO executive and IT Business owner. As a Business owner I had done lot of experiments like, doing web development projects for our clients, promoting our own websites, flipping websites, doing SEO and Social Media promotion, developing IT products like Timesheet and inventory control, running Tech News sites and selling IT products. So, I believe that I can convert any normal "Software Test Engineer" into the "Business friendly Test Engineer" by train/manage them properly. And, few months back I had written a blog post about easiness of recruiting Software Testers. So, I am planning to give more preference for doing Software Testing projects than other things. Actually, I am having good experience in Software Testing and Test Automation especially "Quick Test Professional". My ebook about software testing and QTP automation is selling well from our website as well as from Amazon Kindle Store. We charge affordable hourly price and we provide quality service by focusing on real success of the business. Apart from doing Functional Testing we can do other kind of testings such as Performance Testing and Usability Testing to make sure that the product will be really useful to the End user. Since we have development knowledge too, we can give suggestions to improve the performance or any other suggestions useful for improving the overall quality of the IT product. And, we will be able to understand the hurdles in development side as well as funding/business side so that we can prioritize the work and bug reports by focusing on the things that are really important for the appropriate quality of the product. And, you can read my previous blog post explaining the importance of having timesheet for managing Employees and Projects efficiently. If you are in investor looking for investing in a IT Start-up, you can read my previous blog post , and if you want to advertise in our QA Site you can refer this blog post. Google had released the Top Search Terms in this year 2012 as "Zeitgeist 2012"
2012 was a year of big moments, from global games to historical elections and everything in between. Apart from releasing top search terms, Google has released list of trending searching in various categories such as Images, Athletes, People, events, Feature Films, TV Shows, performing Artists, Airlines, Consumer Electronics, and Google+ Hash tags. Find below search terms which were searched by most of the people in this year wordwide. Google zeitgeist 2012 report gives details about 1.2 trillion searches in 146 languages. Doomsday 2012 Factsheet - Ignore the Scammers spreading rumours of Earth ending in 21 December 2012. There were lot talk and discussion about Doomsday 2012. Many people are telling that World will end on 21st December 2012. There are some things you need to know about the rumors of the "end of the world" or "Doomsday" in 2012. 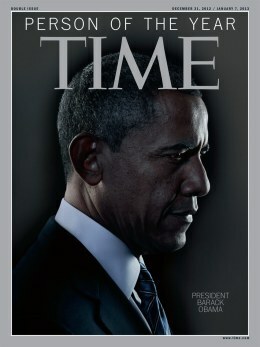 The "2012 doomsday" is a hoax, a fraud, and an absolute con job. It is a cruel and disgusting lie being promoted by scam artists after money; First they scare people to death that something terrible is going to happen, then publish books and videos on "how to survive the apocalypse". Get the scam?! So, ignore these Rumours and spread the Facts. NASA has released Doomsday 2012 FactSheet. We can read below text of this Factsheet. Rogue Planet Headed for Earth: For the past decade there have been reports of a rogue object (Planet X, or Nibiru, or Hercubolus, or even Comet Elenin) that will collide with Earth in December 2012. These claims are not true. If such a threatening world existed, it would be one of the brightest objects in the sky, and astronomers would have been tracking it for years. If it existed, its gravity would be distorting the orbits of planets, especially Mars and Earth. Astronomers know that it does not exist. Increasing Disasters: Our planet is behaving normally in 2012, although we see more and more news stories about natural disasters. There has been no increase in earthquakes or volcanic eruptions. There has been an increase in extreme weather, including both droughts and floods, which are partly attributable to global warming, but this has nothing to do with a 2012 doomsday. Scaring Children: The group most vulnerable to doomsday claims is children. Teachers report that many of their students are frightened and some are even considering suicide. This is the most tragic consequence of the 2012 hoax. Cosmophobia: Many young people write to me that they are scared of astronomy. When they read about some new discovery, the first thing they think is that it might hurt them, even if it is happening in a distant galaxy. There is no reason for such fears, which I call cosmophobia (fear of the universe). This rash of concern seems to be the result of too many conspiracy theories and sensational stories featured on the Internet and irresponsible news outlets. Astronomical objects are so distant that they cannot threaten the Earth. Please don’t be afraid of the Sun or the planets or comets or asteroids. The universe is not your enemy. 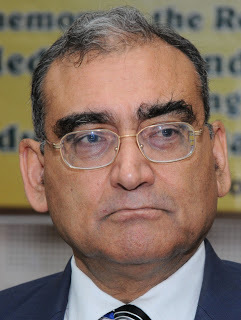 Justice Markandey Katju's reply to two students who wanted to sue him for his comment that "90% of Indians were idiots." Press Council Chairman Justice Markandey Katju has sent below reply to the two students who sent him a legal notice for his comment that "90% of Indians were idiots." Read below full Text of his reply. 1. I have been misquoted in the press reports, but it is true that I have said that 90% Indians (not all) are fools. My intention in saying so was not to hurt anyone but to awaken people to the realities, that is, the widespread casteism, communalism, superstitions, and other backward traits in the mindset of a large section of our people which is blocking our progress and keeping us poor. 2. The figure 90% is not a mathematical figure, it simply means that in my opinion a large proportion of Indians (and again I repeat, not all) are fools. 3. I never named you, nor any community, caste, or sect, and I never said that you are in the category of 90%. Hence I do not see how you are defamed. 4. I made this comment not to humiliate or harm anyone but because I love the Indian people, they are my people, and I wish them to prosper and have decent lives, which is only possible if the Indian masses develop the scientific outlook and scientific temper and give up casteism, communalism, superstitions and other mental attitudes which a large part (not all) of them presently suffer from. I wish to see India in the front ranks of the advanced industrialized nations of the world, with our people having a high standard of living, instead of suffering from the present evils of massive poverty, unemployment, price rise, corruption, farmer’s suicides, child malnutrition, absence of health care and good education, casteism etc. So you see I made that statement not to harm the Indian people, whom I love, but to benefit them. The truth is sometimes bitter, but sometimes bitter medicine has to be given to an ailing person. Having said this, I may proceed to give a more elaborate explanation. I wish to first of all clarify that I do not regard Indians as inherently stupid or foolish. It is only at present that large parts of our people are foolish. But there was a time when we were leading the whole world in science and technology, and India was perhaps the most prosperous country in the world. It is now that we are having bad times, but we had a glorious past and shall have a glorious future too, but for that we have to get rid of casteism, communalism, superstitions and other backward traits in the mentality of a large part of our people (because of which I call them fools). With the aid of science we had built mighty civilizations thousands of years ago when most people in Europe( except in Greece and Rome) were living in forests. We had made outstanding scientific discoveries e.g. decimal system in mathematics, plastic surgery in medicine, etc (see in this connection my article ‘Sanskrit as a Language of Science' ). However, we subsequently took to the unscientific path of superstitions and empty rituals, which has led us to disaster. The way out of the present morass is to go back again to the path shown by our scientific ancestors, the path of Aryabhatta and Brahmagupta, Sushrut and Charak, Panini and Patanjali, Ramanujan and Raman. It is not necessary to mention here all the great achievements of our ancestors, but I may just mention a few. 1. The decimal system in mathematics was the most remarkable and revolutionary invention in the past, and it was created by Indians. To understand its significance, one must know that the ancient Romans, who built a great civilization (The civilization of Caesar and Augustus), felt very uncomfortable with numbers above 1000. This was because they expressed their numbers in alphabets, I standing for 1, V for 5, X for 10, L for 50, C for 100, D for 500, and M for 1000. There was no single alphabet expressing a number above 1000. Hence to write 2000 an ancient Roman had to write MM, to write 3000 he had to write MMM, and to write 1 million he had to write M one thousand times, which would drive him crazy. On the other hand, our ancestors discovered the number 0, and hence to write 1 million they had simply to put 6 zeros after 1. 2. Plastic surgery was invented by Sushrut 2000 years ago, whereas Europeans invented it only about 100 or 200 years back. 3. The English alphabets are all arranged haphazardly, there is no reason why D is followed by E, or E by F, or F by G, etc. On the other hand Panini in the first 14 sutras of his Ashtadhyayi arranged the alphabets in Sanskrit scientifically. Thus , the first sequence of 5 consonants (the ka varga i.e. ka, kha, ga, gha, na ) are all sounds which emanate from the throat, the second sequence from the middle of the tongue, the third from the roof of the mouth, the fourth from the tip of the tongue, and the fifth from the lips. The second and fourth consonants in each sequence are aspirants in which the sound ‘ha’ is combined with the previous consonant e.g. ka+ha =kha. 5. Before the coming of the British India was a prosperous country. Its share in world trade in 1700 was about 30%, which fell to 2% by the end of British rule and is still not more than 3%. Today there is no doubt that India is a poor country. While there are some pockets of affluence, about 80% of our people are afflicted with poverty, unemployment and other evils, and one major cause of this is the mental backwardness of a large part of our people. 1. When most of our people go to vote they cast their votes on the basis of caste or religion, not the merit of the candidate. What else is the meaning of vote banks? And this is exploited by some unscrupulous politicians who know how to manipulate and manage these vote banks. That is why many persons with criminal backgrounds get elected. 2. ‘Honour’ killings are common in many parts of the country. This is a barbaric practice, and shows how backward many of us still are. 3. Dowry deaths are common in India, and as a former Judge I can tell you that our courts have a large number of cases of young married women who are murdered in a barbaric manner by their in laws for not getting dowry e.g. by pouring petrol on them and setting them on fire. 4. Scheduled castes are still often treated inhumanly, and an example is the recent attack on dalits in Dharmapuri district in Tamil Nadu. 5. Female foeticide is common in many parts of India. Often when a male child is born the relatives are happy and distribute sweets, but when a female child is born often relatives get dejected. This is also a sign of backwardness among many of us. 6. Communalism, which was almost non-existent in 1857, is widespread in our society today. Muslims often face discrimination in getting jobs, houses on rent, etc, as the Justice Sachar Committee report has highlighted. Muslims are often falsely implicated in bomb blasts and they have to spend years in jail though ultimately found innocent. Certain agent provocateurs take advantage of our backwardness to incite communal riots, and unfortunately many people fall prey to these evil designs and get emotionally carried away by communal propaganda and fight with each other. 5. Superstition is rampant in India. Most people believe in astrology, which is pure superstition and humbug. And it is not just the illiterates who believe in it, it is also most of the so called educated people in India. Many Ministers and Judges prefer to take oath of office at the ‘auspicious’ time. A few years back it was announced that Lord Ganesh is drinking milk, and there was a rush of people to offer milk to Ganesh. Earlier, a ‘miracle’ chapati was circulating. 6. A large section of the media, taking advantage of the backwardness of a large section of our people, dishes out lives of filmstars, cricket, etc as if these are the real issues before the people, when the real issues are socio-economic. As I said above, when I called most people(not all) fools I did not wish to harm them, rather it was just the contrary. I want India to become a prosperous country, but this is possible only when the mindset of a large number of people changes, and their minds are rid of casteism, communalism, superstitions, and other backward ideas and they become scientific and modern. By being modern I do not mean wearing a nice suit or a beautiful sari or skirt. By being modern I mean developing a modern mind, which means a rational mind, a scientific mind, and a questioning mind. As already stated above, at one time we led the whole world in science and technology, but today we are undoubtedly far behind the West and even China. How did this happen? Why were we left behind, why did we not have an Industrial Revolution like Europe? This is known as ‘Needham’s Question’ or ‘Needham’s Grand Question’, named after Prof. Joseph Needham of Cambridge University (1900-1995). It is high time Indians try to answer this question, instead of trying to evade the reality of the backwardness of most of us. The worst thing in life is poverty, and 80% of our people are poor, which is largely because of the mental backwardness of most (not all) of us. To abolish poverty we need to spread the scientific outlook to every nook and corner of our country. It is only then that India will shine. And until that happens the vast majority of our people will continue to be taken for a ride. Few days back Justice Markandey Katju had said that 90% of Indians are idiots, and two students wanted to sue him for this remark. "I say ninety per cent of Indians are idiots. You people don't have brains in your heads ... It is so easy to take you for a ride," he said at a seminar. "You mad people will start fighting amongst yourself not realizing that some agent provocateur is behind this," he said. Katju said that before 1857 there was no communalism in the country but the situation was different now. "Today 80% Hindus are communal and 80% Muslims are communal. This is the harsh truth, bitter truth that I am telling you. How is it that in 150 years you have gone backwards instead of moving forward because the English kept injecting poison," Katju said. "The policy that emanated from London after the mutiny in 1857 that there is only one way to control this country that is to make Hindus and Muslims fight each other," he said. He said that then there was propaganda that Hindi was the language of Hindus and Urdu of Muslims. "Our ancestors also studied Urdu, but it is so easy to fool you. You are idiots so how difficult is it to make an idiot of you," Katju said. Today Google is honoring Ada Lovelace by showing below Doodle. Read below some facts about Ada Lovelace. -Ada Lovelace was an English mathematician and writer chiefly known for her work on Charles Babbage's early mechanical general-purpose computer, the Analytical Engine. - Ada Lovelace was the daughter of the famous poet Lord Byron. - Ada Lovelace was the first Computer programmer in the world. And, she was known as Mother of Computer programming. 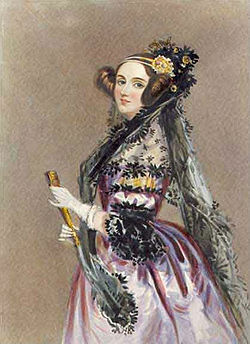 - She was also known as Augusta Ada Byron, Countess of Lovelace; Ada King Lovelace. - Ada Lovelace faced numerous illnesses throughout her life. As a child, she had bouts with both measles and scarlet fever. she was even paralyzed for a year. -During a nine-month period in 1842-43, Lovelace translated Italian mathematician Luigi Menabrea's memoir on Babbage's newest proposed machine, the Analytical Engine. -She danced often and was able to charm many people and was described by most people as being dainty. - Ada Lovlace was the inspiration for many women to enter into Technology. - Today (December 10) is Ada Lovelace's birthday, but Ada Lovelace Day is getting celebrated on mid October. Join this discussion to know the reason. I have created an exclusive search box for searching the details about Ada Lovelace using Attrakt. You can give your suggestion to improve this Search box further. U.S President Barack Obama had visited a house of woman "Tiffany" for a roundtable to discuss the importance of extending the middle class tax cuts and taking a balanced approach to tackling fiscal challenges in United States. Tiffany is a high school teacher. She lives in Northern Virginia. Tiffany is one of the thousands of people who wrote in to the White House to share what it would mean to her family if their income taxes went up next year. After meeting with the Tiffany family, Obama had given a pose with a Michelle cardboard CutOut for taking group photo with Tiffany family. It is really a funny moment. You can watch the below video. If you like this video, you can share it to your friends and followers by embedding it in your blog or website. Businesses providing Job Search related services are existing for many years, and still they are growing fast. Most of the Job Search related businesses are earning good. So, People are starting lot of Job Search Sites to utilize this opportunity. But not all Job sites will be successful. But still they were able to get significant Customers (Employers and Job Seekers), and they too run with significant profit. It proves the huge potential of the Job Search related business. But it is having huge competition too because of the huge earning potential. So, it is necessary to develop a job portal which can provide unique benefits to both Employers and Job Seekers. Few years back, I came to know about the automatic resume submission concept when one of our clients asked me to develop a script for automatically posting Candidate Resumes to few job sites by showing me a successfully running similar web portal. I was surprised to see the huge potential of this concept. We worked hard to develop such script. It is NOT easy task. We faced lot of challenges. Finally we were able to develop such script for posting Resume to few sites. Anyway, this project was not successful as our client was busy with some other projects, and he didn't promote it. I had learnt below things by experimenting various options. - Automatic Resume submission Service is in High Demand as it helps all parties (Job Seekers, Employers, and existing Job Sites) involved in the Job market. - Competition is very low for this kind of services. Because it involves lot of challenges to develop the script. (We already overcame these challenges). - It has Huge Earning Potential because it won't require much effort to process the service. Most part of the Sales price can be converted as profit. - Though it is having High Demand, Low Competition and Huge Earning Potential, it is NOT easy to be successful in this business. Now, let us see what prevent us from making profit from this business and the ways to overcome it. This business requires two main things. One is, developing/maintaining a script and monitoring/checking the resume submission. Second is bringing the target visitors (job seekers) to the websites. All these failures occurred because of mismatch between these two things. So, I came up with a new plan to overcome this thing. i-e I am planning to setup Joint Venture to start resume submission service. I believe it will solve the issues and both parties can get profit from this model. If you are interested, you can contact me (rajamanickam.a@gmail.com) with your investing plan and with your profile. Right now, I am planning to get only one business partner. So, send the details (e.g your past projects/investments, LinkedIn profile) about you so that I can choose the best suitable partner. NOTE that right now this script works for US job sites only. If you have plans/potential to sponsor for developing similar script for other countries too, then mention that while sending your details. You may watch these videos. Feel free to contact me if you have any question. And, we develop/promote few other sites (e.g TheQuotes.Net) also. If you have any plans of joint Venture for our other Sites, you can contact me with your plans. And, note that all these years I am running all our projects with self investment only. First time I am providing this Joint Venture offer. I have few other plans too. For example, if I get investor, we can develop our SEO Tool further to make it as Online SERP tracking tool which is profitable business model. Similarly we make use of our Timesheet script to provide online timesheet service. And, we can do any kind of php/mysql script development/updation at affordable hourly price. We do SEO and social media promotion also. And, we plan to do Software Testing also. Contact me if you are interested to use these services at affordable price. Read this blog post if you are interested in investing in our Quotes website. Update: One of the potential investor asked the question "What does this entail?﻿". I had send below reply. 1.As specified in the post, this business involves frequent updation of script according the changes in job sites. We can take care of these two things. And, the investor need to make some payment at regular interval (e.g weekly) to maintain/update the script, SEO/Social Media promotion of the site, and for processing the resume submission sales. It can be fixed amount or based on our hourly working time. Some part of the payment can depend on the number of sales. Optionally the investor can make payment to add new job sites, and adding new modules, and adding new countries in future. The investor can get the returns from these ways. - Income from resume submission. Few services are charging more than $50 per submission. Anyway, we can set $24 to begin. - Some new jobs sites may be willing to pay for adding their site so that they can get more resumes. - From Ads or affiliate links. - Adding keyword based job alert system for additional charges. - expanding the site as job portal once after getting significant number of resumes. It may open new revenue option as Employers will be interested to pay for searching resumes. - Adding more jobs sites to be the leader in this industry. - expanding it by creating similar script for other country job seekers once the US version becomes successful. - implementing affiliate option to bring more target visitors easily. - Getting the details including their plan for initial investment and regular (e.g weekly or monthly) investment. And another potential investor had asked the question "And what will be the minimum capital to be put up for becoming a partner?﻿". I had send below reply. And, note that the script updation is NOT a constraint for getting orders. For example, even if someone order resume submission today itself, the current script can be used , and the submission which is getting failed due to script issues can be manually corrected by our Team. Anyway updating script regularly will save processing time/effort. And, note that I reserve the Rights to reuse the script in other domains or for other purposes. Anyway, we won't sell/reuse this script till we are getting paid by the investor regularly or getting part of resume submission sales income.